NOT PINK. 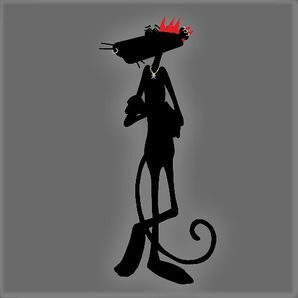 If a hero happens to observe a hint of pink roots growing out at the base of a Pink Punk Panther's glossy, all-natural, black fur, the he should refrain from pointing it out. Not only would it sully the Punk Panther's honor, but there wouldn't be enough left of the offender to bother burying.